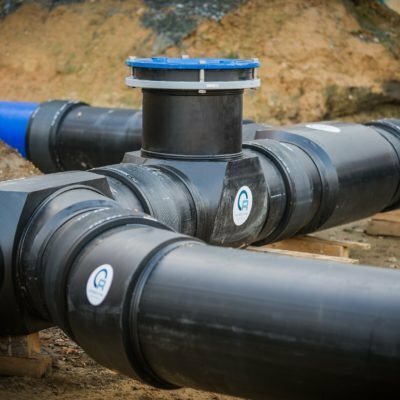 In the planning process and during the installation of pipelines, the overall situation and use of the construction site after closing must be considered in addition to the intended function. 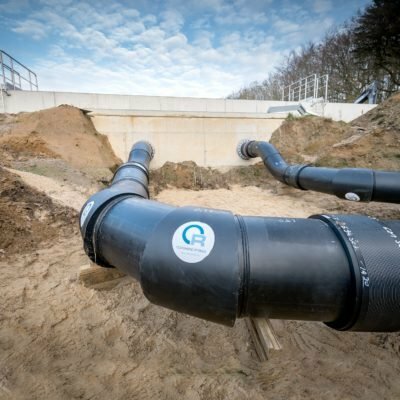 Initially, a pipe run in the open excavation does not always seem to make sense. 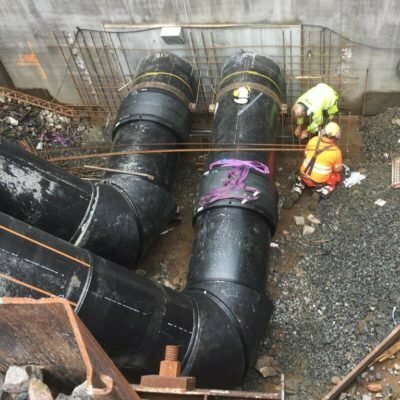 Here, the construction plans provide revealing information!In this showcased situation we used seamless bends and machined elbows in connection with HP flanges, special flanges, T-pieces, branches with special angles and prefabricated PE 100 pipe offsets in order to complete a required pipe run in a quick and economical manner as designated by the project planner. Reinert-Ritz provided all molded parts in the dimension of d 400 mm SDR 17 to d 500 mm SDR 17. 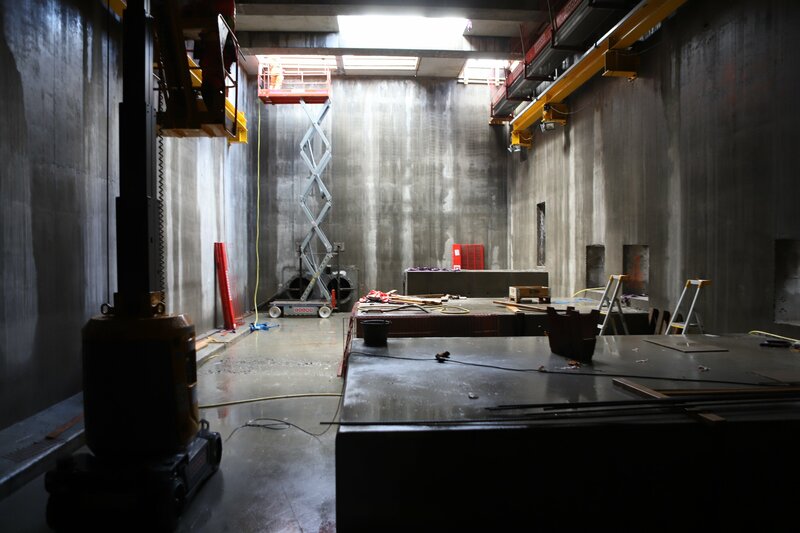 A final report about the very interesting project for the sewage plant near Boras in Sweden. 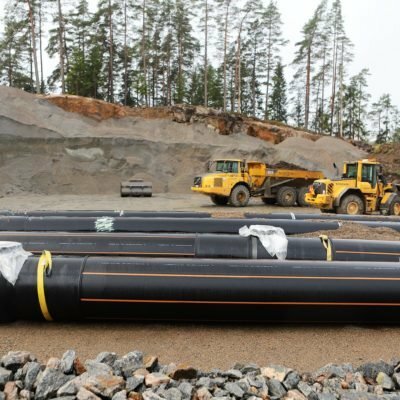 This time regarding the 7 km long pipeline. 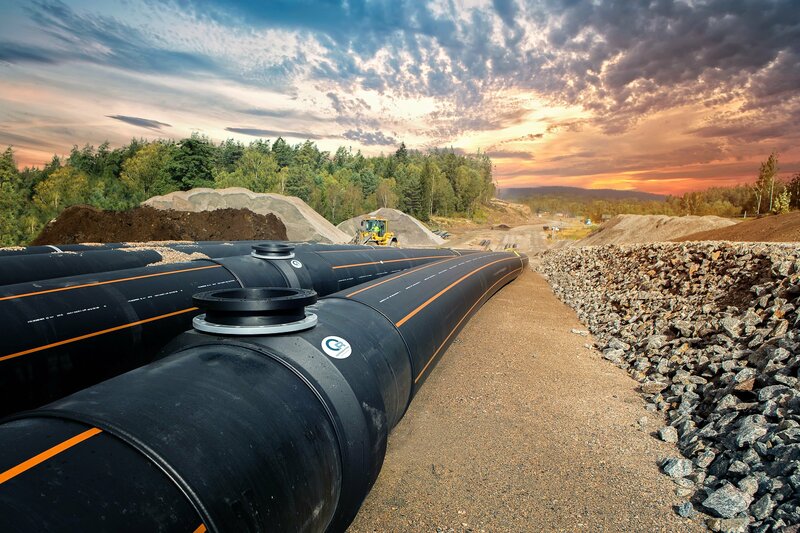 The pipeline was equipped with several air release valves to be able to release gases. 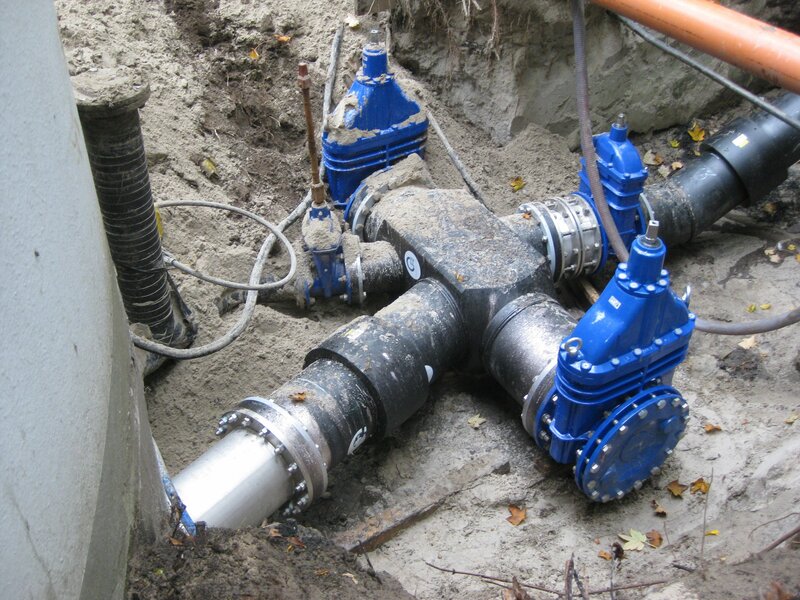 It was chosen to install a pair of these valves on a collector mounted on Reinert-Ritz PE100 tees. The tees were of the dimension d 1000 mm SDR 17 with a branch of d 450 mm SDR 17. 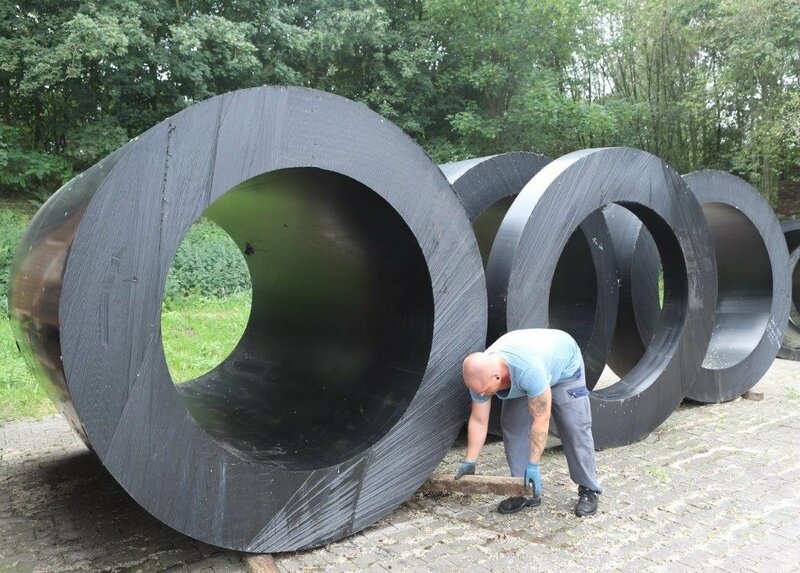 For easier fitting to the rest of the system, the tees were elongated with pipe ends to 1 meter directly in the factory.The solution with fully pressure compliant tee’s milled of homogenous extruded PE100 rods is a once in a lifetime investment since the PE100 is completely corrosion resistant. 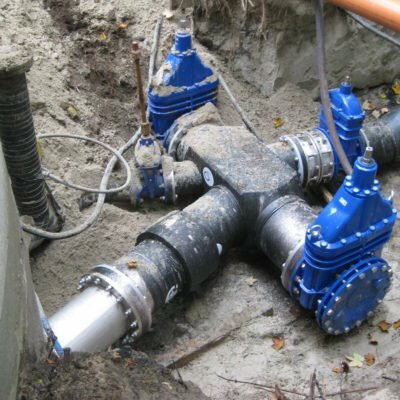 Unlike the stainless steel collectors which will require regular maintenance, the PE pipeline and PE fittings will shine with enjoyable low lifecycle cost. Well, the collectors in PE100 is for the next time! 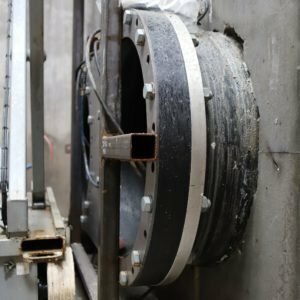 For the new pump station of the sewage plant near Boras in Sweden, Reinert-Ritz was offered the opportunity to contribute two puddle flange fittings in PE 100 in combination with our special flange to the project. 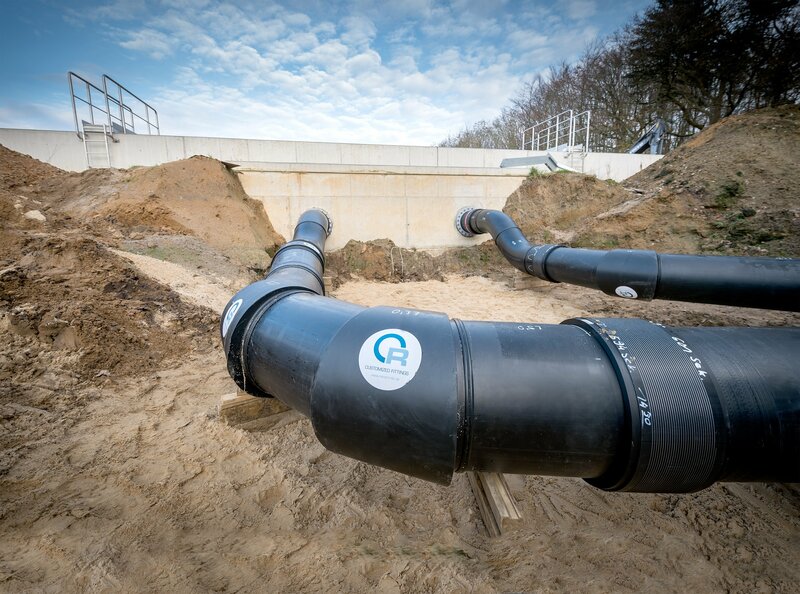 The puddle flanges allowing to lead the pipes into the pump station of the plant were of 1.000 mm in diameter SDR 17. For easier fitting to the rest of the system, these were elongated with pipe ends to 4 meter directly in the factory. 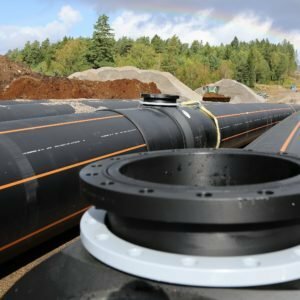 The installed special flange becomes necessary with flange transition pieces to accessories where large cross-section changes occur due to the flange joint dimensions and the plastic pipe dimensioning. 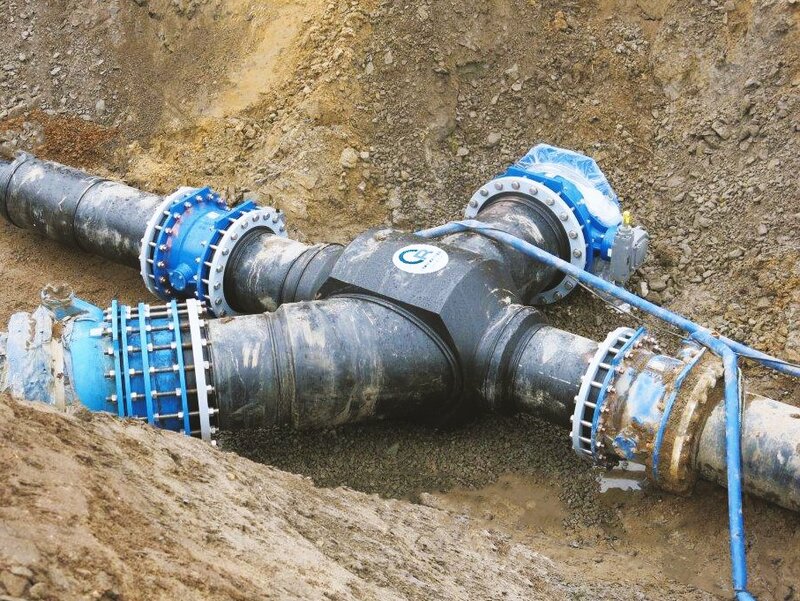 The advantage of the special flange is on one side that it helps to maintain a laminar flow of the sewage water without creating turbulences in front of the connected accessory and secondly, to avoid actuation problems of the valves as a result of the displacement in dimensions. 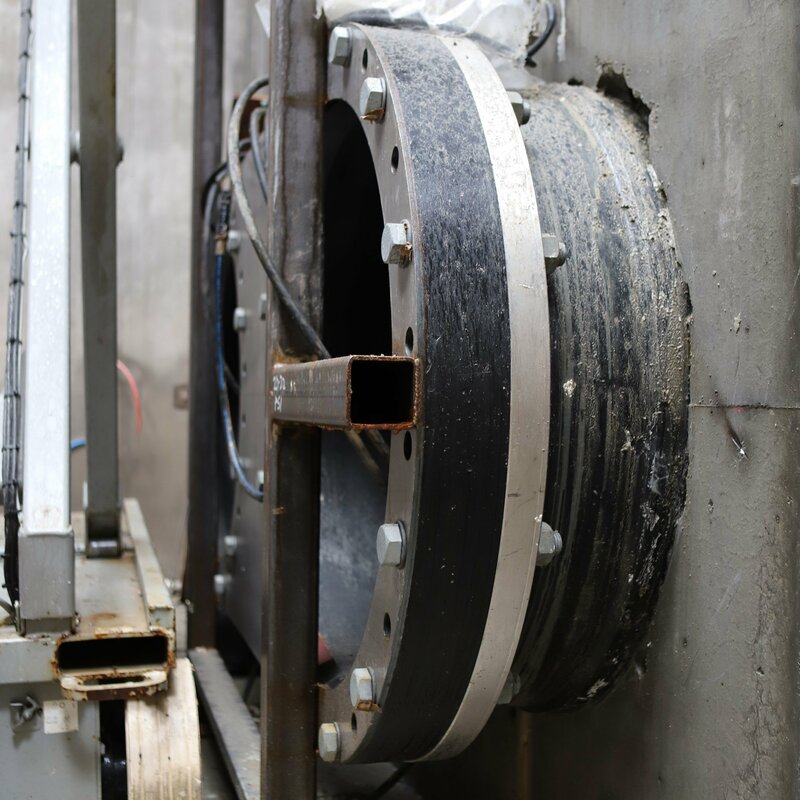 Ordinary weld stub also tend to fail under full pressure.With the special flange connection, Reinert-Ritz can solve all these problems and enable the pressure class-compatible connection of plastic pipes to accessories with the same inner diameter. The stub end is designed as a fixed flange and is fitted with a backing flange. This allows the accessory to be selected according to the nominal size of the pipe – one step less than in the case of a conventional loose flange connection which reduces the project costs and the risk of deposits. 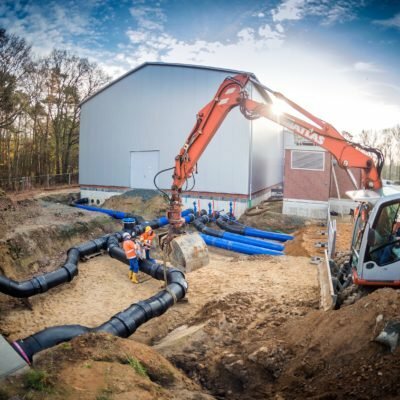 Construction of a new sewage plant near Boras in Sweden offered the possibility to contribute with different PE 100 fittings around this project. 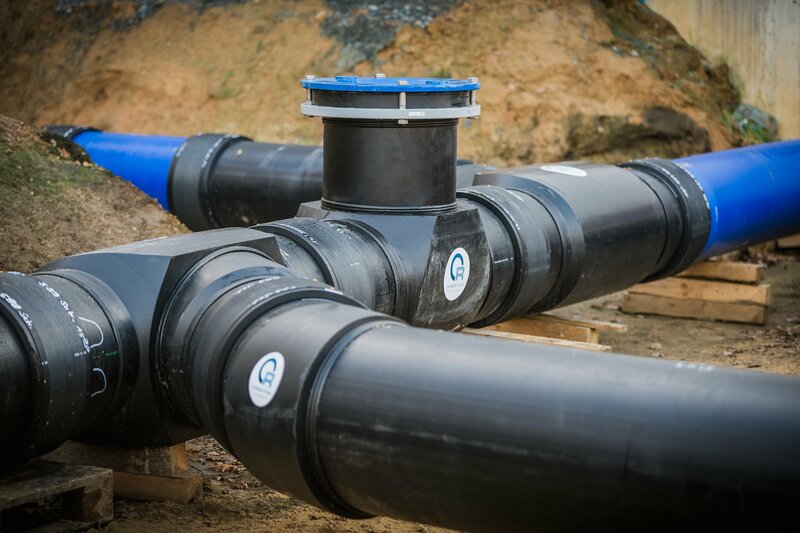 For the new pump station of the plant the design required PE 100 pipes of 1.000 mm in diameter and corresponding fittings for the pipe works. For space saving reasons one decided to implement our machined 45° elbows d 1000 SDR 17 for the directional changes of the pipeline. A special combination of two of them enabled 90° elbows as you can see from the images. Equipped with 1.200 mm long pipe spigots welded to the elbows in our shop floor it was easy to handle and to weld them on site. 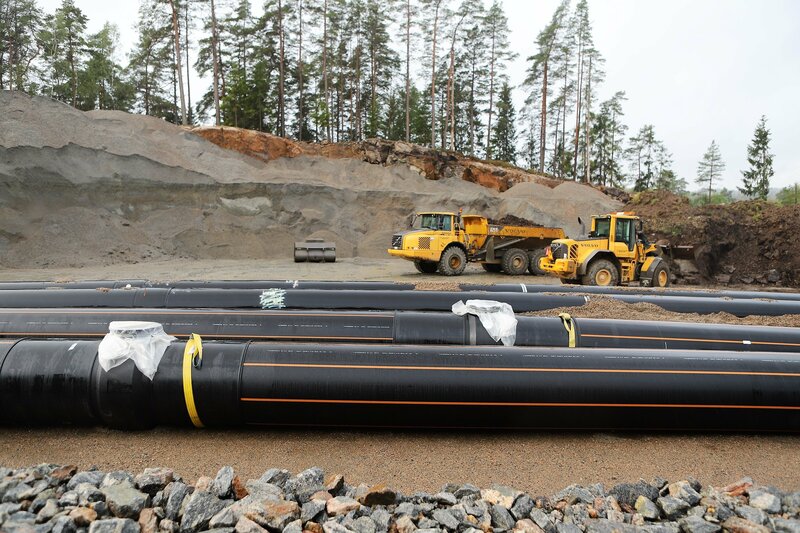 An existing pipeline water system in Sweden required the replacement of a 45° branch d 560 mm by a cross piece to accommodate a further pipe connection. The previous 45° branch, as might be noticed by one or the other, was originally engineered by Reinert-Ritz, so replacing it with a cross fitting was obviously a piece of cake. The new cross piece with d 560 mm and one 45°branch, included reducers on the main axis from d 560 mm down to d 450 mm. 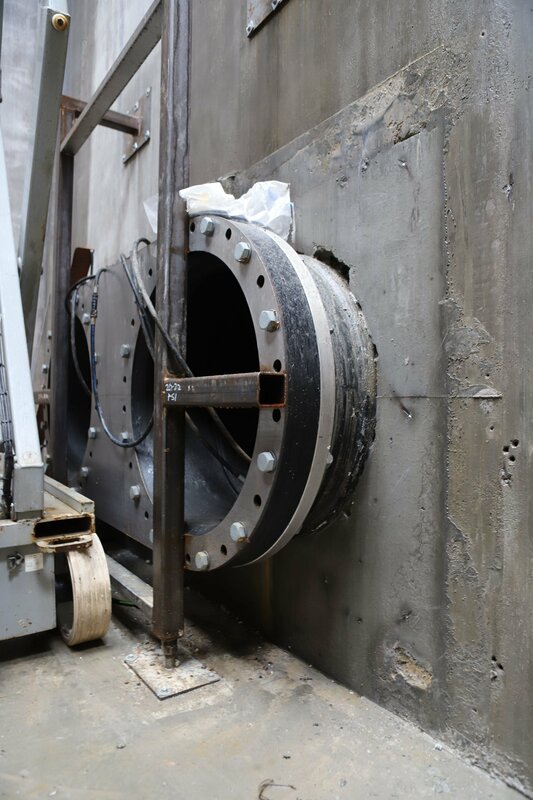 All connection to the existing pipeline were realised with our HP Flanges DN 600 PN 10 or DN 500 PN 10 on the reduced side. 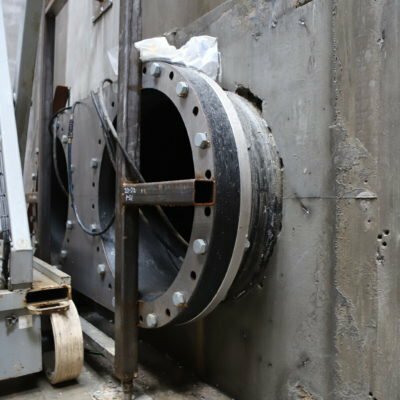 Given that the previous and the new fitting were manufactured in the same house, the usual unconditional reliability was guaranteed and saved time in the project realisation. 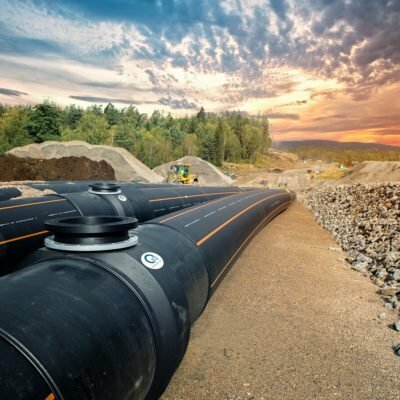 The extension of existing pipeline networks is always a challenge, most often due to the restricted space available and the required allocation of additional branch pipes. So in this case where the pipeline network of a pump station was extended by 2 addition pipelines that made branches of 79°, 71°and 68°nessesary, re-joining the main DN 400 PN 10 pipeline. 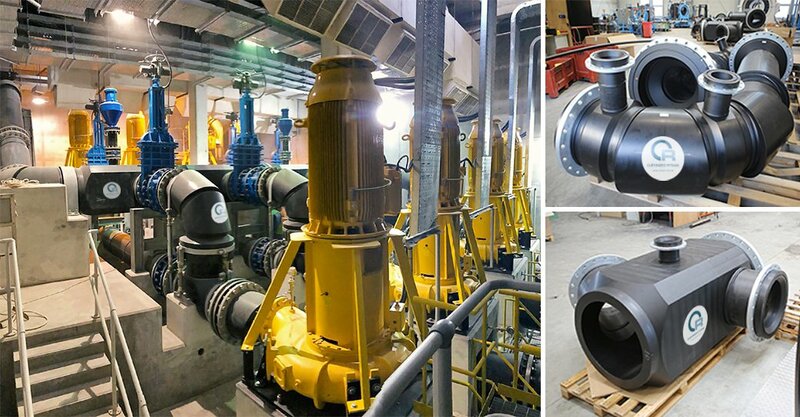 The design of the component meeting precisely the required angles of the branches, saved a considerable amount of time during the expansion of the pump station pipeline system. 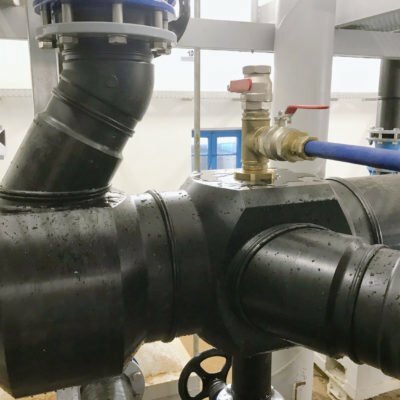 Refurbishing the whole in-house cast iron pipe installation of their water utility plant in the shortest possible time was the major target of the management of DESWA water company in order to ensure supply of drinking water to the inhabitants of Dessau. Besides this maintaining the architectural structure of the building as well as considering the existing measuring and control technology was a focus to be obeyed. 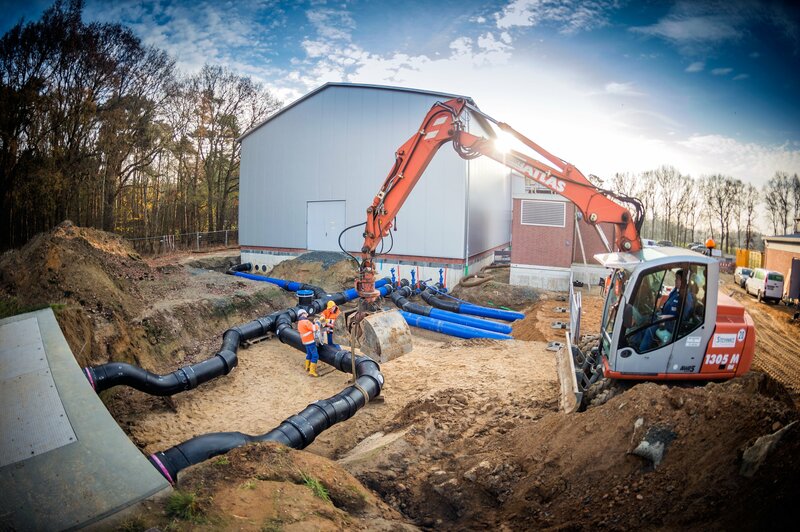 Thanks to the early involvement of Reinert-Ritz technicians the assigned engineering office specified prefabricated assemblies made of PE100 based on tailor-made fittings matching the requirements of the existing installation. 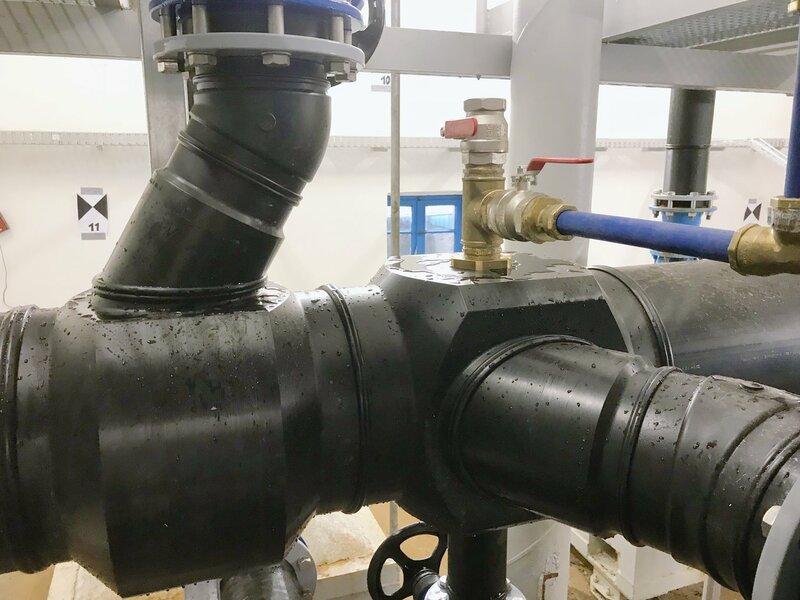 Using 3D measuring of the old assembly we were able to design and supply prefabs made of corrosion free PE100 pipes and fittings in dimensions ranging from d 140 mm up to d 400 mm comprising special flanges, HP-flanges, elbows, bents and t-pieces with additional 1” and 2” threaded branches to connect the existent measuring and control technology. Installers as well as the management were happy about the easy and quick installation of the prefabs supplied. 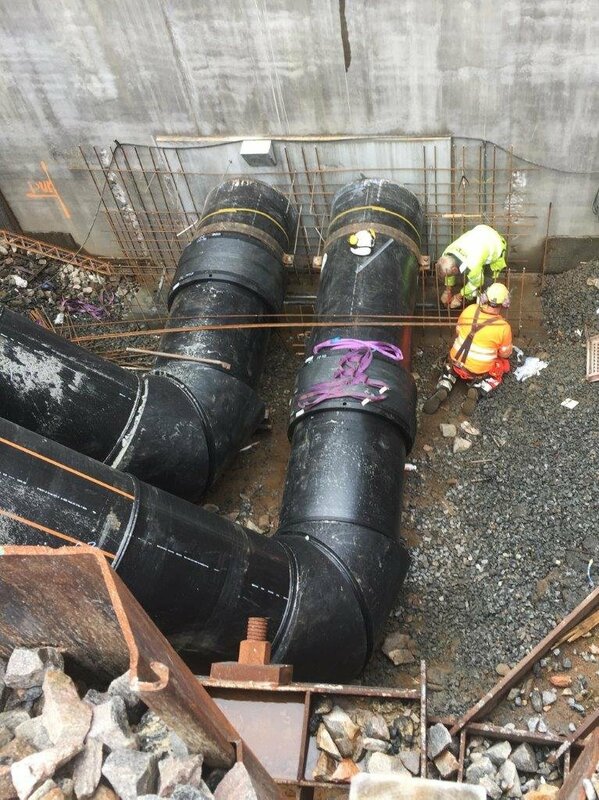 All targets were met: the water supply could be re-established in a very short time. Our many years of experience and the resulting know-how in the production of homogeneously extruded hollow bars enable us to take on challenges in ever larger dimensional ranges. The PE100 hollow bar shown has an outer diameter of 2.35 m and a wall thickness of 40 cm. 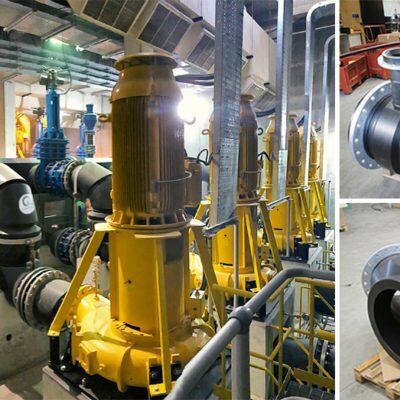 Fittings for large pipe diameters that meet pressure class requirements in particular require extremely reliable semi-finished products in order to achieve the desired result. 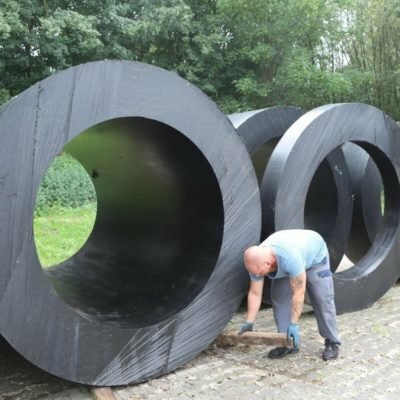 Blanks of this hollow rod served as the basis for the PE-part of our special flanges of dimension d 2000 mm designed for full system pressure rating. 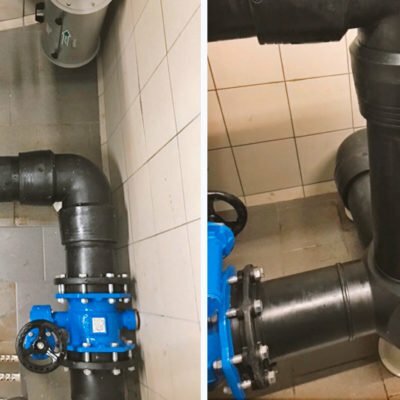 In order to replace cast iron pipes and fittings and for the extension of the system in a wastewater pumping station our customer decided to offer a PE100 solution. 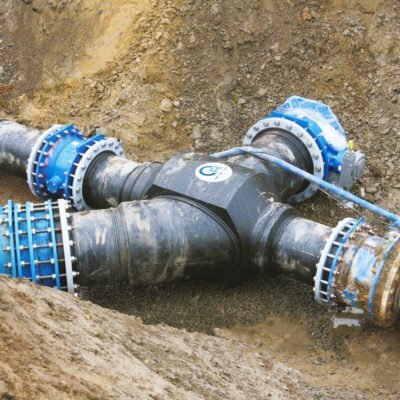 For the realisation of special requirements such as multi branched tees, pressure class conform flanges and constraints in assembly procedure and space he relied on the experience and the possibilities of Reinert-Ritz. We are proud to have designed, manufactured and delivered tailor-made fittings such as flow-optimized flanged reducers both concentric as well as eccentric, space saving elbows, multi branched tees – partly pre-assembled and partly a welding combination of several of the special solutions ranging from d 1000 mm SDR 11 down to d 200 mm SDR 11. 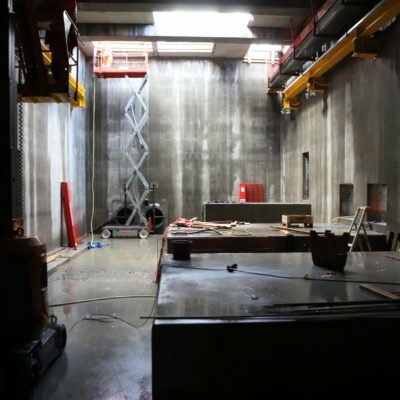 The modular design of the components considering limited space and installation sequences ensured a reasonable workflow and the completion of the job in time. 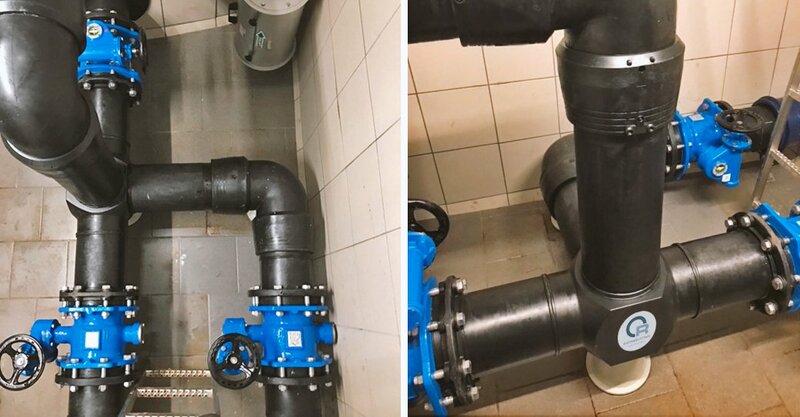 For the refurbishment of an existing installation in a water utility plant our customer required a special solution made of PE100 in order to avoid an expensive stainless steel solution or the reconstruction of the building which would have been necessary in case of choosing PE-fittings from the shelf. The constraints to be obeyed were limited space and exact overall length all combined in a full pressure rated flanged PE100 T-crosspiece of dimension d 225 SDR 17. Thanks to our experience, close cooperation of our design department, our sales team and our customer we supplied a long-lasting, compact solution matching customers’ requirements and helping cost saving for years. The image shows the T-crosspiece comprising our new corrosion resistant fibre reinforced HP-flanges d 225 DN 200.